The CDCD group is interested in all aspects of local democracy in our District – our petition for a referendum seeks to address just one area that we think could be improved. Another aspect, and one that has often been mentioned in our public meetings and by petition signers, is voter registration. The figures for registration vary widely across the District, as do the reasons for not registering. If you’re not registered you get no say, and our democracy is weakened and less representative. This opinion piece is from Peter M Smith, who is Convenor Canterbury and Whitstable Labour Party Task Group on Voter Registration. 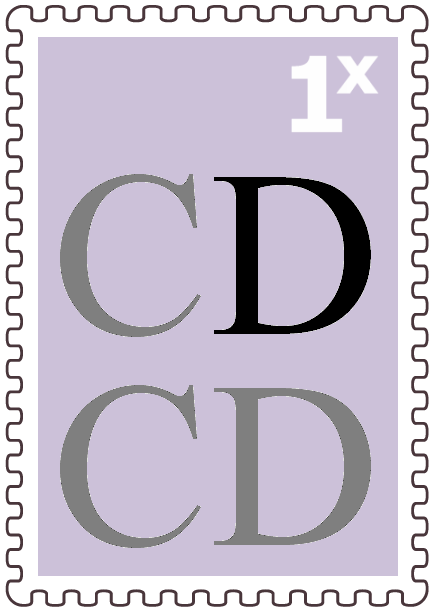 Please note that CDCD is strictly apolitical – we welcome contributions and comments from every shade and hue of the political spectrum. There is more to the “democratic deficit” in Canterbury than governance. Voter turnout in elections is worryingly low and getting worse. Civic disengagement threatens the legitimacy of our elected bodies. From June 2014 the current system where the head of the household registers all voters in the home is being replaced by individual electoral registration. This change could lead to a slashing of the electoral rolls not seen since the poll tax in the 1980s and risks skewing elections even more in favour of the older more settled voter at the expense of younger, more mobile and generally less well off people. The Electoral Commission estimates that the electoral register is only 85% to 87% complete. There is a real risk that many more people will disappear from the electoral roll with the new system. This week, the first week in July, the Electoral Commission starts a publicity campaign to raise awareness of Individual Electoral Registration and on 30 June City Council officials held a fascinating and lively question and answer session with Labour Party members and sympathisers to inform our voter registration drive in readiness for May 2015. How can we make a success of individual electoral registration and how can we strengthen the message that voting really matters? The City Council has a statutory responsibility to ensure maximum registration but it is also up to other civic groups to play their part. Members of the Labour Party alongside other individuals and groups committed to democracy are working to build on the Council’s work to promote registration in under-represented areas. It is of course a matter of civic duty to use what democratic rights we have. Voting is also essential in simple economic terms. A study from the Institute of Public Policy Research (Birch 2014) shows that differences between socio-economic groups in their voting turnout have increased six fold from 1987 to 2010. The rich and old vote and the young and mobile do not. And this is getting worse. A third of those under 35 earning less than £10,000 bothered to vote in 2010, amongst those over 55 getting over £40,000 almost 80% voted. If you belonged to a socio-economic group that tended not to vote in 2010, your share of the austerity burden from Osborne’s 2010 spending review was £2135, but if you belonged to a socio economic group that tended to vote you paid only £1850. If you are as rich as Russell Brand you have no need to vote. Our ‘democracy’ is already shamefully unrepresentative. In the 2010 general election turnout was 65.1%. The Tories got 36.1% of the turnout. This was about 22% of those registered to vote and about 19% of the adult population of the UK. So fewer than one in five support the main party of the coalition. The Canterbury MP does slightly better than the national average. In 2010 turn out was 64.1%, the Conservatives received 44.8% of the turn out, which is 30% support from those registered to vote and about 1 in 4 of the population of voting age. So about three quarters of the adult population in Canterbury and Whitstable have not expressed support for their ‘representative’ in Parliament. Voter registration is not just about students but in Canterbury there are about 26,500 students eligible to vote in UK elections living in a constituency of about 76,000. In wards with many students and other mobile people like Blean Forest and Northgate the City Council estimates that 27% and 56% respectively of the population are registered. This compares to 88%. in the more socially stable ward of Chestfield and Swalecliffe. It is obvious which political party benefits primarily from this skewed democracy. Yet unlike in the United States there is not a tradition here amongst progressive parties to go all out for voter registration drives. Voter registration has long been a key focus of US elections, especially amongst women, minorities and more mobile populations. Voter registration in swing states in 2008 was seen as a key element in Obama’s success. more positive arguments for voting.